Ian Nepomniachtchi knocked Sergey Karjakin out of the world Top 10 by playing 1.f4 in Round 2 of the Russian Championship Superfinal. 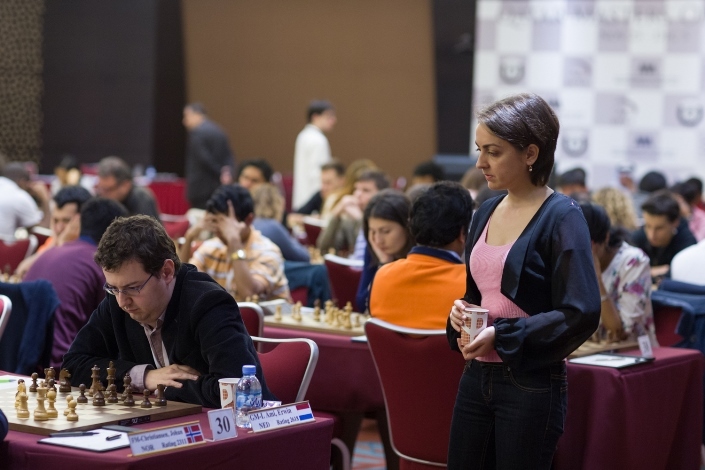 The man who seized the number 10 spot was Vladimir Kramnik, with a second win in a row in the Qatar Masters Open. 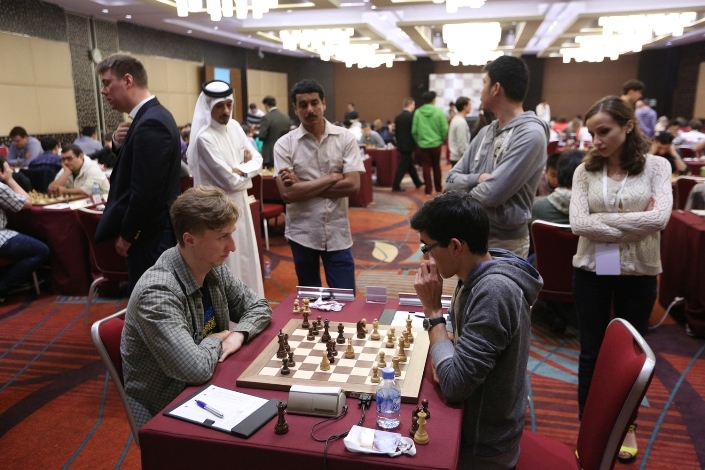 Jan Gustafsson looks at both those games in a 20-minute video recap of Saturday’s chess, but he starts with the 18-move massacre that saw Anish Giri take the sole lead in Qatar on 4/4. Note Karjakin actually lost the game by forgetting about his time and failing to make move 40 - not that it was likely to have made a lot of difference. 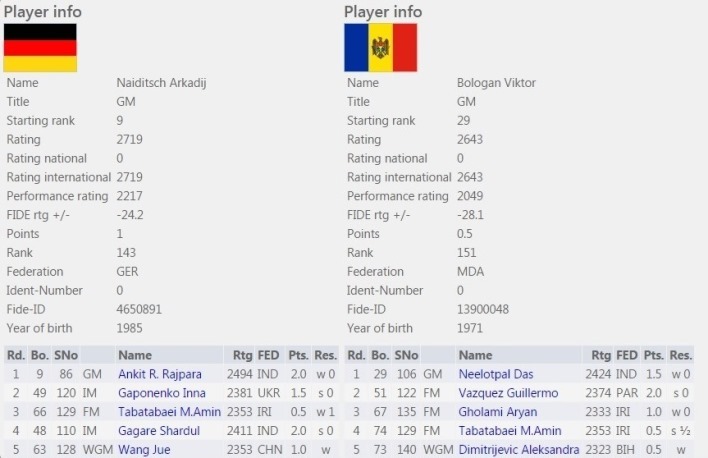 When asked afterwards why he’d played 1.f4 Nepomniachtchi, a man who’d provided Magnus Carlsen with crucial help in Sochi, said he didn’t know what to play against Karjakin with White so he thought he'd play as Black instead! 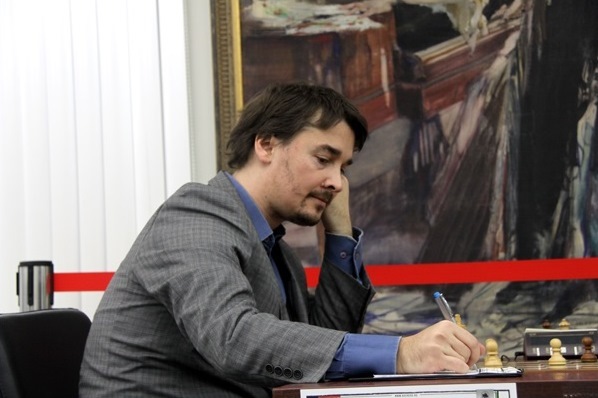 There’s just too much chess around to cover everything, but we couldn’t end this report without evidence that Alexander Morozevich is still a force to be reckoned with. The mercurial Russian finished off Boris Grachev in dazzling style in the Russian Championship – one of those occasions when a queen is definitely no match for a rook and bishop! You can replay the full game here. Alternatively you can see all the tournaments from our live page, and if you open multiple events you’ll then be able to switch between them using tabs.